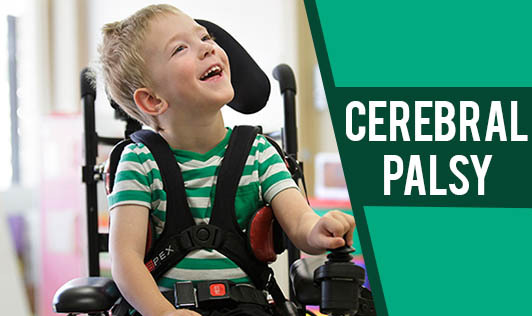 Cerebral palsy is a condition that affects thousands of children each year. This is a condition in which there may be abnormal brain development or injury to the brain as it develops. This condition can occur before, during, after birth or during early childhood. A child with cerebral palsy will have difficulties in controlling muscles and movements as they grow and develop. There are three types of cerebral palsies: Spastic, Athetoid and Ataxic. The nature and extent of these difficulties may change as the child grows but cerebral palsy itself is not progressive, the impairment or injury in the brain does not change. This condition causes impaired movement associated with exaggerated reflexes or rigidity of the limbs and trunk, involuntary movements, abnormal posture, unsteadiness of walking or sometimes, a combination of these. Nevertheless, the effects of the brain injury on the body may change over time for better or worse. Children with cerebral palsy often have other conditions related to developmental brain abnormalities, such as vision and hearing problems, intellectual disabilities or seizures. Each child's impairment is unique and no universal treatment for cerebral palsy exists. Therapy and adaptive equipment are the primary treatment for cerebral palsy; a child may also require drug therapy as well as surgical interventions. This condition doesn't stop children from going to school, making friends and doing things they enjoy. But, they may have to do these things a little differently or may require some help. If you have a child with CP or you know someone with CP, give him or her extra time to speak or move. Being understanding and supportive is what he or she will really appreciate.